Partnering with a professional translation service can add a great deal of value to the content you create, allowing you to reach new audiences in far off lands. But how exactly should you go about selecting the right professional translation company? The truth is, there are many companies out there who can translate your content, provide you with translated documents, and help you prepare your website in advance of entering a new market. Yet these companies are not created equally, with varying levels of quality and expertise at their disposal. When shortlisting translation companies to work with on translation projects, the key pieces of experience you should identify are: the language you need translated; the project type (website, brochure, etc. ); and the sector in which the content will be used. By reviewing the company’s website, and reading case studies and testimonials before ticking these boxes, you’ll know you’re in safe hands going forward. You also need to get a sense of the customer service being provided by your prospective translation company.To that end, you should check third party sites for reviews before jumping into a business relationship. Taking your content and your business global isn’t something to cut corners with, so for your own peace of mind, and for the success of your business, you need to ensure whichever translation company you work with is the right fit. You might think this is a little invasive, but at the end of the day when you’re placing the success of your content in the hands of another business, you have to be certain you’re getting quality work in return. One of the first things you should ask is if they use freelancers or in-house staff. If it’s the former, then be wary, as this might suggest an inconsistent level of quality. It also may mean the person who starts the translation job won’t necessarily be the one who completes it, such is the erratic nature of freelance contracts. It’s better to confirm that you will have the same translator and account manager working with you throughout the project for the sake of consistency and quality. Who Reviews the Translation Work? It’s one thing to translate your words, but it’s another entirely to ensure the newly translated work will actually resonate with your target audience. This is where working with a professional translation service comes into its own, as they will have several people working on your content together to ensure it sounds local to your customers, and achieves a strong return on investment for your business in the process. Where Does Their Expertise Lie? Before appointing your translation company, you should make sure they have all the bases covered. That is to say, can they help you with everything you need help with? 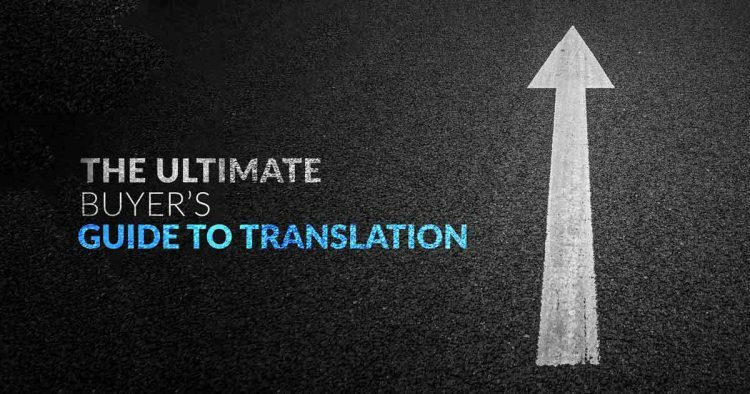 If you need legal contracts, marketing materials, technical content, and web pages all translated, does the translation company have the expertise to provide you with a consistent and quality service across the board? Carefully check their services displayed on their website, and don’t be afraid to ask for case studies and examples of previous work. Will They Be Your Partner? Appointing a professional translation service should be more than just a sticking plaster solution for your translation needs. Rather, it should be about developing an ongoing partnership with a company you can trust to deliver when you need them to, no matter the complexity of the content or tightness of deadlines. When working with an online translation service, you should consider both the present and long-term objectives of your business, and where this partnership can support you in your endeavours. Once you have asked these questions, and received your answers, you will realise that appointing anything other than a skilled, respected, and experienced online translation company can be detrimental to the success of your business. Protect your brand and your reputation by working with a professional translation service. Get more tips, advice, and news direct to your inbox by subscribing to our newsletter.